At Kennedy Schofield Lawyers we offer a team approach to law. Our lawyers choose the areas of law that are important to them, then commit to continuing to develop their expertise in those areas. We don’t like the “jack-of-all-trades” approach. The law and how it is applied is constantly changing. Lawyers need to be constantly working to keep their skills up-to-date. We are confident that we can help our clients, whatever their needs may be, in a way that makes them feel comfortable, informed and cared about. The days where the lawyer sat behind his mahogany desk and looked down at his clients, speaking in legalese, are long behind us. Families are busy today. They want to know that when a legal issue arises they have a trusted advisor they can call to help them. Sometimes legal issues arise at very painful times, as a result of marital breakdown or death. Especially then, it is important to feel you have someone in your corner, negotiating the legal system with you, so that you can concentrate on healing and moving forward. 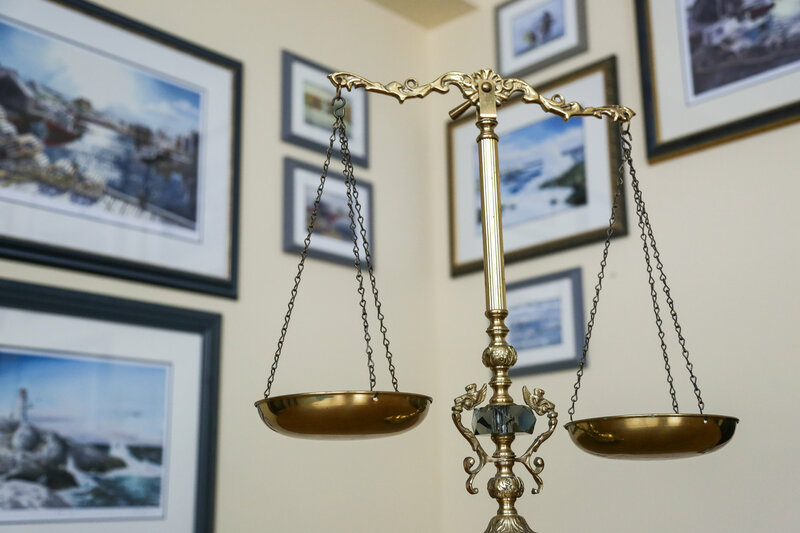 Tracey was called to the Nova Scotia Bar in 2000 and began practicing as a sole practitioner in her firm, Tracey Kennedy’s Law Practice, first from her home in French Village and then from Kennedy Professional Centre in Head of St. Margaret’s Bay. Jennifer was called to the Nova Scotia Bar in 2001 and came to the Tantallon area to practice with a small firm shortly thereafter. Both being young lawyers, Jennifer and Tracey became colleagues and then friends. Over time they realized, as they each married and had children, that they had a similar vision about the practice of law. Both believed that the delivery of legal services should be relationship centered; that they wanted to build practices where their clients considered them to be “their lawyer”. They wanted to create a space where clients felt comfortable and cared about. They also realized that legal issues are complex, often requiring that the lawyer handling the file be proficient in several different, and overlapping, areas of law. Having practiced on her own for 12 years, Tracey knew how difficult it was to offer a high degree of legal service in several areas of law. What the Bay needed was not another sole practitioner, another “jack-of-all-trades”, but a group of lawyers who would concentrate their practices in complimentary areas, and then work as a team for their clients, ensuring the client has excellent representation. This vision is the reason why Tracey and Jennifer merged in 2010 to create Kennedy Schofield Lawyers.